Welcome to Gary Mirams’ research homepage. I am a Wellcome Trust Senior Research Fellow and member of the Centre for Mathematical Medicine & Biology (CMMB) in the School of Mathematical Sciences at the University of Nottingham (see contact details and my official university page). 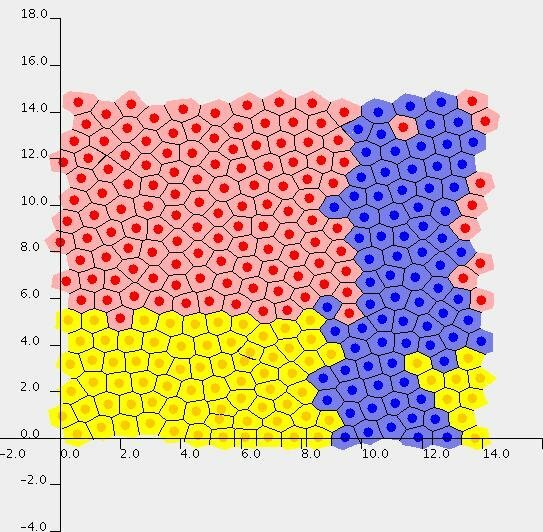 My research is in mathematical biology, constructing mathematical and computational models to describe biological processes. We aim to explore and explain biological processes and provide predictions about the behaviour of biological systems. I’m particularly interested in how we choose equations, put parameter values in them, how we might design experiments for doing this better, and making sure we have software tools for doing these things more reliably. See my publications page for recent papers, colleagues page for students and postdocs that I’m working with, and links page for details of safety pharmacology and cardiac electrophysiology web portals. I have a cardiac modelling blog, and a general twitter account: @GaryMirams. More information on various topics I am working on is below. My research is currently funded by the Wellcome Trust on a Senior Research Fellowship. We are developing cardiac electrophysiology models with the aim of making them more predictive for safety pharmacology assessment of pro-arrhythmic risk of new drug compounds. We are interested in different models of drug action on ion channels: looking at where a simple conductance block model is appropriate, and cases where more detailed models of state-dependent, voltage-dependent and allosteric block are required. We are investigating which protocols suffice to fit which parameters in the ion-channel models, and designing and testing better experimental procedures for producing more reliable mathematical models, at both the ion channel and whole cell levels. We are also assisting with the Comprehensive in-vitro Pro-arrhythmia Assay (CiPA) which is using mathematical models to improve risk assessment for new drugs in the pharmaceutical industry and international regulatory policy. As part of our research we are developing a number of pieces of software (more details on the links page): PINTS for probabilistic inference for time series problems; the Cardiac Electrophysiology Web Lab for reproducible model development; the AP-portal for safety pharmacology simulations; and the Chaste computational biology environment is the simulation engine that underlies much of our work. A video featuring our work on cardiac safety during my Henry Dale Fellowship. I was funded from 2014-2019 by the Wellcome Trust and Royal Society on a Sir Henry Dale Fellowship. Before that, I led an NC3Rs / EPSRC Strategic Award in Mathematics in Toxicology entitled “Prediction of human cardiotoxic QT prolongation using in vitro multiple ion channel data and mathematical models of cardiac myocytes”. This project was in collaboration with GlaxoSmithKline and AstraZeneca modelling and safety pharmacology departments, we investigated whether mathematical models can provide more accurate early predictions of novel compounds’ human clinical cardiac safety than existing preclinical animal-based tests. I worked with David Gavaghan, Blanca Rodriguez and Denis Noble. From 2011-2012 I received funding from a GlaxoSmithKline Grants and Affiliates award to develop a simulation tool for prediction of drug-induced pro-arrhythmic risk, and to evaluate its predictive power. From 2008-2011 I worked on a European Commission project on “prediction of drug impact on cardiac toxicity” (PreDiCT), a video summarising some of the results can be seen on the right. This included my earliest work on extending pharmacological safety testing to better predict Torsadogenic risk, which was published in Cardiovascular Research. My PhD was based at the Centre for Mathematical Medicine and Biology, Nottingham University on the impact of Wnt signalling on colorectal cancer initiation. I worked with Helen Byrne and John King as part of the Integrative Biology Project. As part of this I was involved in the development of a novel multiscale crypt model which was used to study monoclonal conversion in the colorectal crypts. A link to my thesis can be found on my publications page. In 2008 I worked with John King in Nottingham, and Stefan Kepinski in Leeds on modelling the auxin signalling pathway in Arabidopsis roots (see my publications page for a paper on this topic). 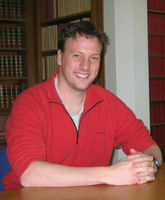 Research homepage of Gary Mirams, mathematical biologist at the University of Nottingham, UK.